I have so many bills I can’t afford to save any money. What should I do? 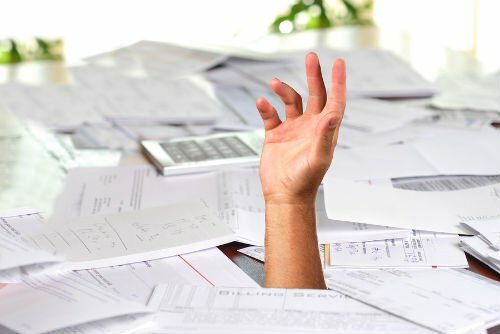 Do you have so many bills that you feel like you are drowning in debt? Q: I’m a College student and my soon-to-be husband just purchased our first home. Last year I bought a car and I’m paying for college out of pocket. With so many bills, how can I save? I do have a 401(k) but I’m tired of living check to check. A: Congratulations on your upcoming wedding and on you and your fiancé getting that home. To get out of the cycle of living paycheck to paycheck you really are going to have to take a hard look at your budget. I know you have a lot of bills to pay, but to get ahead financially – and stop being cash-strapped all the time – you absolutely must get your spending in alignment with your actual income. In a nutshell, you can not spend more than you earn. In fact, your spending should not be anywhere near your earnings, and you should be putting aside 10% of your income into savings. To get yourself on the right path, look at every area of your life where you’re spending money, and create a proper, realistic budget. Read on for more tips to do just that. I know that most people loathe the thought of being on a budget. The word “budget” alone conjures up images of deprivation – making us think about every thing we can’t have, can’t do, or can’t buy. But creating a budget – and living with it – doesn’t have to be so restrictive and it certainly need not be a painful process. Here is my simple, two-step system you can use to create a livable budget that will help you achieve peace of mind and eliminate worries about your money. When you make your list, take a moment to think about how you really live your life on a daily and monthly basis. Do you have kids for whom you regularly buy gifts? If so, include a gifts category for things like birthdays, holidays, graduations, or other special occasions. Or maybe you’re an avid reader, so you should add a category for monthly magazine subscriptions or books you routinely purchase. Your list can be handwritten, or entered on a computer spreadsheet. The “L” in LIFE stands for expenses that are “listed” items in your budget, but the numbers you used are actually very inaccurate. For example, if your credit card bills show that you spend $250 a month on clothes, don’t put $100 into the clothing category. Don’t underestimate your spending. Enter a realistic number. The “I” in LIFE refers to the “impulse” purchases that everyone makes now and again. Make sure you’re not buying things on a whim week after week, month after month. That’s a sure-fire way to kill your budget. Whenever you make an unplanned purchase – whether you’re shopping online, buying something from a street vendor, or getting something from the mall when you were supposed to be “just window shopping” – that’s considered an impulse purchase. Keep those to a minimum. The “F” in LIFE is for those “forgotten” bills that pop up when you least expect them. Some bills get paid annually or perhaps twice a year – like your membership to the gym or perhaps your auto insurance. If you’re not mindful of these expenses, you can forget them and then when the bills come due you’ll be short of cash. To avoid this pitfall, do not omit them from your budget. Just factor them into your monthly budget on a prorated basis and put the money aside. For instance, if your auto insurance is $1,200 a year and it’s due in December, enter $100 in your monthly budget for this expense. Then put $100 cash aside each month for 12 months – instead of trying to come up with all of the money at the end of the year. The “E” in LIFE stands for “emergencies.” There are obviously times when emergencies – like a burst boiler unit – can ruin a budget. Try to minimize these events with preventative measures, such as regularly servicing your boiler, having routine maintenance done on your car to avoid breakdowns, and making periodic visits to the doctor to stave off serious medical conditions. Once you realize that LIFE happens to everyone, you can take some steps to safeguard your finances and create a realistic, workable budget. 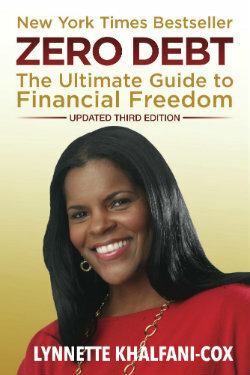 For most of us, that’s the first step to having fewer money problems and achieving financial freedom.